What type of care home do you want to own? With an aging population there has never been more need for adequate care homes. Choosing the right care home business to buy is, therefore, a great option. Deciding to go into the care business, however, will require careful thought. With the well-being of people in your hands, you should make sure that this is a career path that you are passionate about and a challenge that you are ready for. The next step will be giving diligent consideration thought to the type of care home and services that you want your business to offer. Read on to learn more about what these options are! There are many elderly people who simply need a friendly and caring environment to live in. Your residential care home will need to provide residents with help for tasks such as washing, cleaning, laundry and meals. Residents will also often need reminding of when to take their medication and general support from staff throughout the day. This kind of care will still allow residents to retain some of their independence. Your residential care home should also provide activities and social gathers for the residents. There are particular challenges that people with dementia face. Running a care home for residents with dementia, therefore, needs to be considerate of what these challenges are and cater to them. This environment will be suited to the specific care that people with dementia will need in order to make them feel safe and less confused. You need to have a great deal of compassion when working in any care home, however, this is of particular importance when it comes to caring for people with dementia. Care homes for people with dementia should be designed with the residents in mind. You will also need to keep in mind that dementia care can be emotionally demanding for both residents and staff- consider what kind of support you will offer. If you own this particular type of care home, you will need to provide personal care, from nurses, for residents. The residents of this kind of care home will usually have special requirements that need to be treated and considered. 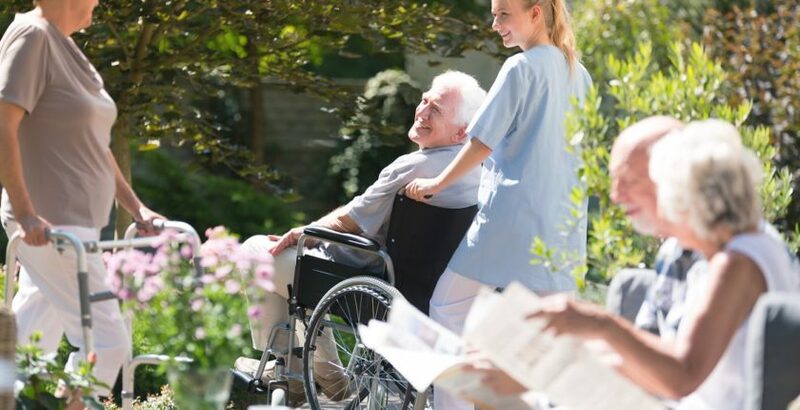 The level of care that is offered at nursing homes is much higher than most other care homes. You would be more suited to this particular type of care home if you have some background in a medical or related field. Not all care services need to be for full-time residents. There is also a need for day care centres or centres that cater to over-night or short-term stays. In these cases, those elderly people who are being cared for by a family member or care giver might need to spend short periods of time in a care home. This allows care givers to perform tasks like shopping or to go on holiday. Short-term care will also be available for people who need support as they recover after being in hospital. As this kind of care home is not for long-term patients, you will need to be very organised about when residents are in or out. Day activities will need to be organised for day visitors and you will have to continuously market to new people. These are not the only types of care homes, however, they are the main ones. Depending on your specific skills and qualifications, you will need to decide on the care home that is right for you to run. Before zeroing in on a particular care home, though, research the market and get to know what type of care is in demand. You might find a niche that has not been covered by any of the competition in your area. You should aim to provide the type of care that is needed in your area. Care homes that provide more than one type of care are also a possibility. There will be more factors that you need to consider but you can expand your customer base in this way. Most of all, you need to be sure that you are passionate about care for the elderly. There will be days with long hours and, especially when you start out, you will be working some weekends. You will need passion to keep you motivated and your residents happy!